Melissa in 1986. Someone should have warned her what she was signing up for. It has become a regular feature on my blogs to have a little chat about my relationship with my wife (Lor/Melissa) every year on our anniversary. Many people find it charming or romantic, she finds it embarrassing, I find I am simply compelled to do it by the urging of my inner voices. This year is a little different for a lot of reasons. The last several months have brought us both through bariatric surgery, not because either of us was concerned about our physical appearance, but because we both wanted to extend the potential time we had together. The experience has brought us even closer together than we were, as we have become one another’s partners through this process – each acting as a combination of cheerleader and drill instructor for the other. Every member of our surgical team was delighted to hear that we would be going through the process together, because couples enjoy a much higher long-term success rate from bariatric surgery than others. Now, I can see why. However, this year is also special because it represents a landmark year for our relationship. 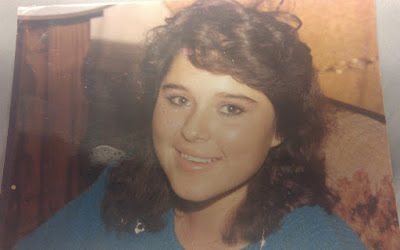 You see, in 1986, I took a gorgeous 15-year old out on our first date. Within a couple of weeks, we were “going out”, as we used to call it back when we were in high school. This year, 2016, actually represents our 30th year together. When we were married 2 years later, in 1988, I had just turned 18 and she had only been 17 for a few months. We were so young that we spent the next decade or so raising each other. I still can remember the conversation with her mother when Melissa turned 35, when my Mother-in-Law congratulated me on having had her daughter for longer than she did. And, while many couples lament not getting to spend enough time with each other, my illnesses and Melissa’s caretaking has placed us in close proximity to each other almost 24/7 for the past 9 years. I can safely state that I have spent more time with Melissa than with any other human being – by a pretty good margin. Today, we have a very different future to look forward to than we did a year ago. Her diabetes numbers remain very low, and she may be in remission completely. Weight loss has improved my seizure control. We have bought a house. Slowly, we are emerging into what most of the country thinks of as a “normal” life. And none of it would be possible if not for her unflagging patience and self-sacrifice over the past 30 (!) years. Thank you, Melissa, for everything you are and have done for us over the past 3 decades. I wish I knew what I did to deserve you, because I would do it again in a heartbeat. And here’s to the potential of loving you for another 30 years.